The University of British Columbia has launched a $1.5 billion fundraising campaign with a twin goal of doubling the number of alumni engaged in the life of the university by 2015. By combining philanthropic gifts and alumni talents, UBC seeks to enhance student learning, expand research capacity and extend its community engagement initiatives. Chris Wheeler Media is providing video services for the UBC Alumni Engagement producing videos to showcase on the campaign website and also multicamera coverage and interviews at their launch event. 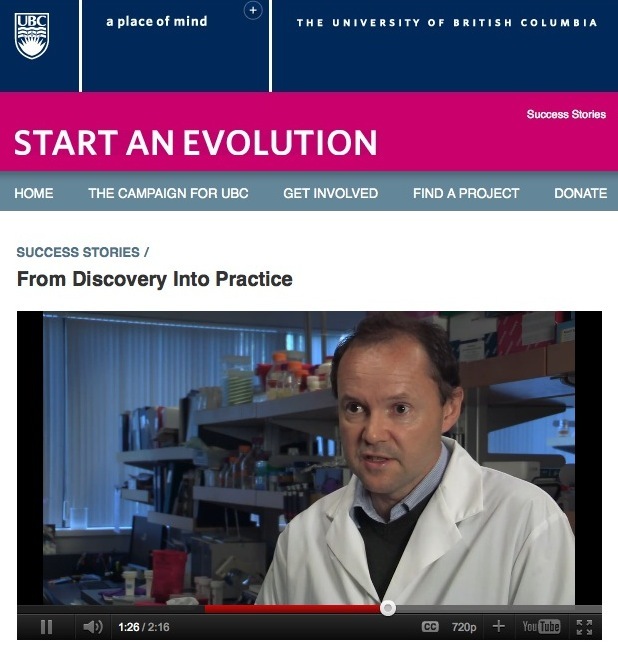 It is inspiring to interview the brightest minds of Canada that are making a real difference in the world (see From Discovery Into Practice success story about UBC cancer researchers making medical history). UBC Alumni Engagement team is definitely ahead of the curve in embracing the use of video and social media to engage their community and build support. It is a pleasure to work with such a forward thinking team.